In an interview with BuzzFeed News, the creator of Mario speaks about his iconic videogame's iPhone and iPad debut. What if you could only watch Disney movies on special televisions made by Disney? Who would keep buying such devices? Sure, there'd be an audience: families with kids, and fanatics, and a core group of nostalgics. But what about the average consumer, the one with fond memories of Fantasia and limited disposable income? For Nintendo, the Japanese gaming company that is still synonymous for much of the world with videogames, which it helped popularize three decades ago, this has always been the case. Emulators and the odd exception notwithstanding, consumers could not play the most beloved game series in history — Super Mario Bros. — without a Nintendo device. That changes next week, when Super Mario Run releases to hundreds of millions of iOS devices, just in time for the holidays. It's a defining moment for the House of Mario, and by extension for Shigeru Miyamoto, the creator of Mario (and Zelda, and Donkey Kong, and Star Fox) who is often called the Walt Disney of videogames. BuzzFeed News sat down on Tuesday with Miyamoto — who holds the charmingly modest title of "Creative Fellow" at Nintendo — to talk about the new game. At 64, Miyamoto still has the hair of a hobbit and the smile of a scamp, and as he waited for the reporter to be briefed on Super Mario Run, he passed the time by noodling on his acoustic guitar. So how does the father of Mario feel on the eve of what is, strangely, a kind of coming out party for the most famous character in gaming? "I’m very excited to be able to bring Mario to people who haven’t had a chance to play Mario games," Miyamoto told BuzzFeed News. "And to reconnect with people who haven't played for a long time." 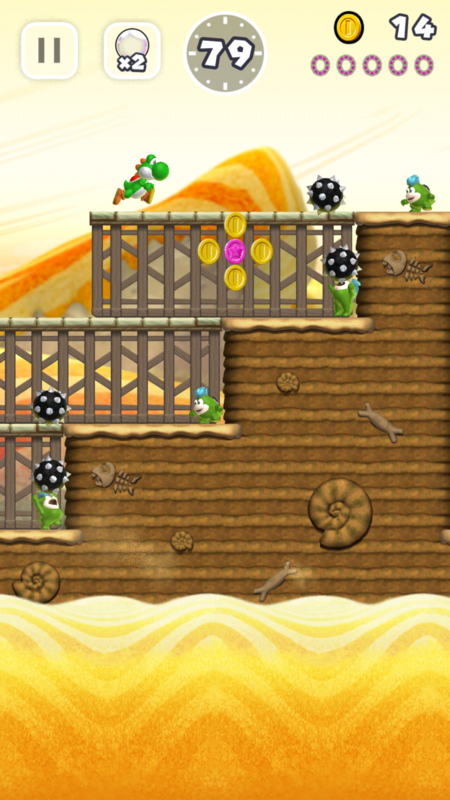 About that long time: Yes, Nintendo heard the clamoring for Mario games on mobile devices. "For more than 10 years, people would often ask, 'Why can’t you put your games on cell phones?'" Miyamoto said. "We often felt that with cell phones we couldn’t get the same level of gameplay response that we could from our own devices. Over the last two to three years we’ve been looking at what’s the right experience for a Mario game on our devices versus on an iPhone." This solution to the awkwardness of character control in mobile games isn't new, exactly. Platform games in which a character runs without pressing a button – and a subgenre, so-called "endless runners," in which play only ends when the character runs into or off something – have been popular on mobile devices since at least 2010 (think Temple Run and its myriad knockoffs.) But befitting Nintendo, which is quirky and sometimes enigmatic, the company came to the mechanic in a roundabout way. Miyamoto told BuzzFeed News that Nintendo started playing around with the idea during the late-aughts heyday of the company's Wii console. "We had experiments back then where you would make Mario jump in time to music," Miyamoto said. 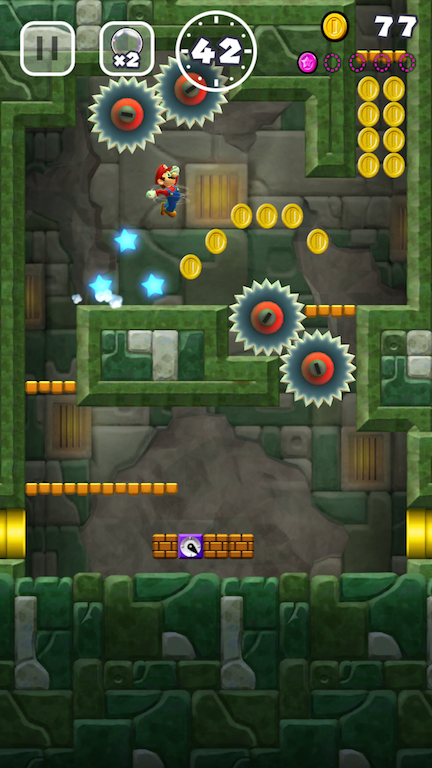 Though those experiments never made it into a game until now, Nintendo continued to tinker with the idea as it developed New Super Mario Bros., a series of games for the Wii, handheld 3DS, and Wii U that that resembled the 2D games of the '80s and '90s and were intended to attract Mario novices. 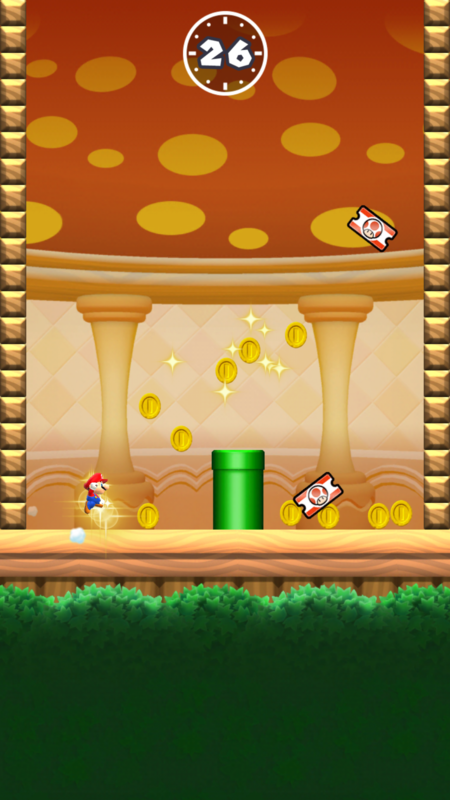 According to Miyamoto, part of the inspiration for Super Mario Run's auto-running came from a surprising source: "super players." Watching online videos of these gamers' astounding speed runs and other feats of gaming skill, Nintendo employees noticed that the gamers never let up on the D-Pad. Mario always kept running, and all of the skill came down to the incredible precision of the jumping. What if, the Nintendo braintrust reasoned, all players could have that experience? 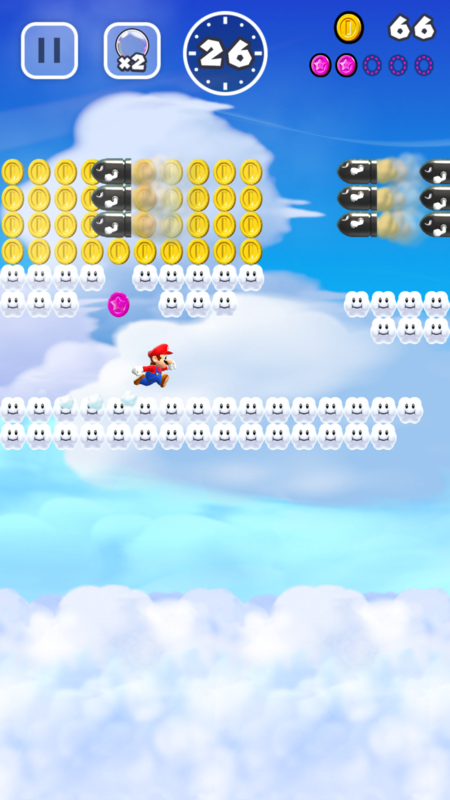 Ironically, the most skilled Super Mario players in the world may be partially responsible for introducing Mario to thousands and thousands of first-time players. Nintendo is hoping that this vast audience of first timers, along with people who haven't played Mario in years, will spend $10 to unlock the whole game. If Super Mario Run succeeds, it would mark the second mobile triumph of the year for Nintendo, whose summer sensation Pokémon Go saw the company's stock surge to its highest level in years. The company hit a second (and perhaps more sustainable) peak not long after, when Miyamoto announced Super Mario Run alongside Tim Cook at an Apple event in September. Together, the two games represent an admission by Nintendo that the company needs to bring its most valuable asset — its characters – to the machines where humans, especially young ones who did not grow up with Mario, spend much of their time. And that means Nintendo can't always build these machines itself. Miyamoto told BuzzFeed News that the company had once considered building GPS into its 3DS mobile system for a Pokémon Go-type game on proprietary hardware. Instead, Miyamoto said, Nintendo decided that it made more sense to put the game on millions of devices that already had satellite location tracking. Indeed, coming off the disappointing sales of its Wii U console, and ahead of the March release of its Switch console, Nintendo may be realizing that its future as a hardware manufacturer may be linked to getting their characters in front of a new generation of players, even if that means meeting them halfway. "Kids are playing on devices that they’re getting from their parents when their parents are upgrading," Miyamoto said. "We wanted to take an approach of how can we bring Nintendo IP to smart devices and give kids the opportunity to interact with our characters and our games."